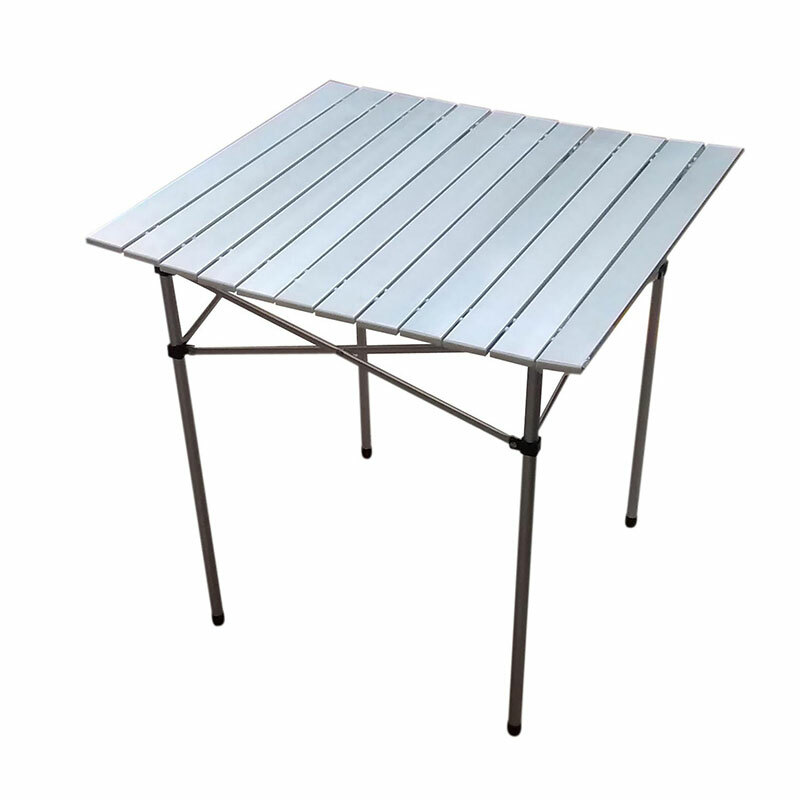 This fold up low camp table is made of aluminium and is low level with aluminium legs. Very easy to clean due to its MDF table top. Comes with carry handle that makes it easy to transport and store. 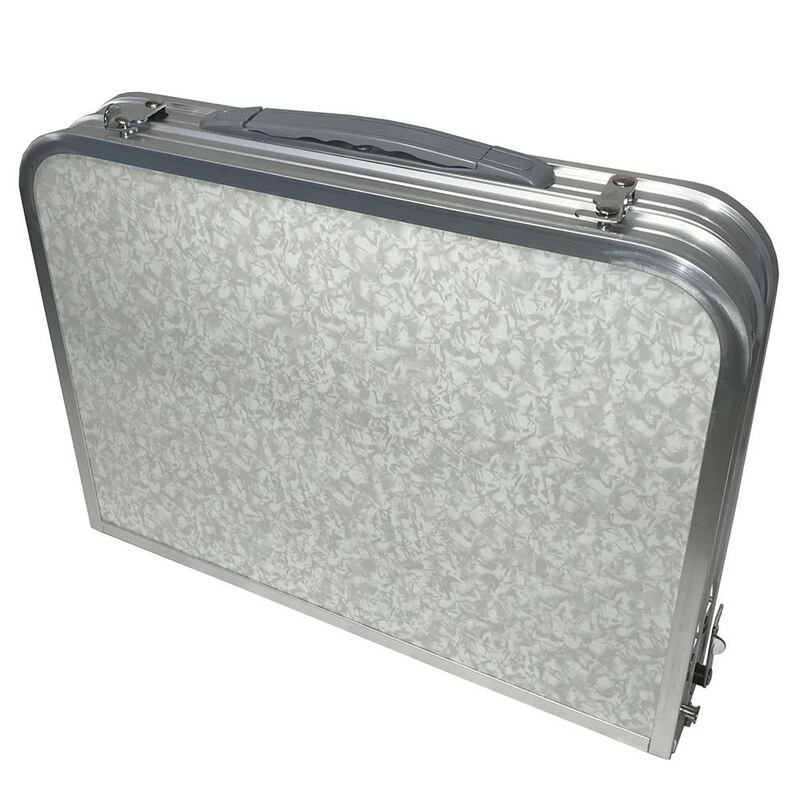 It is durable, hard wearing, compact and lightweight with open dimensions of 60cm x 40cm x 25cm and folded dimensions of 42.5cm x 7cm x 32.5cm. 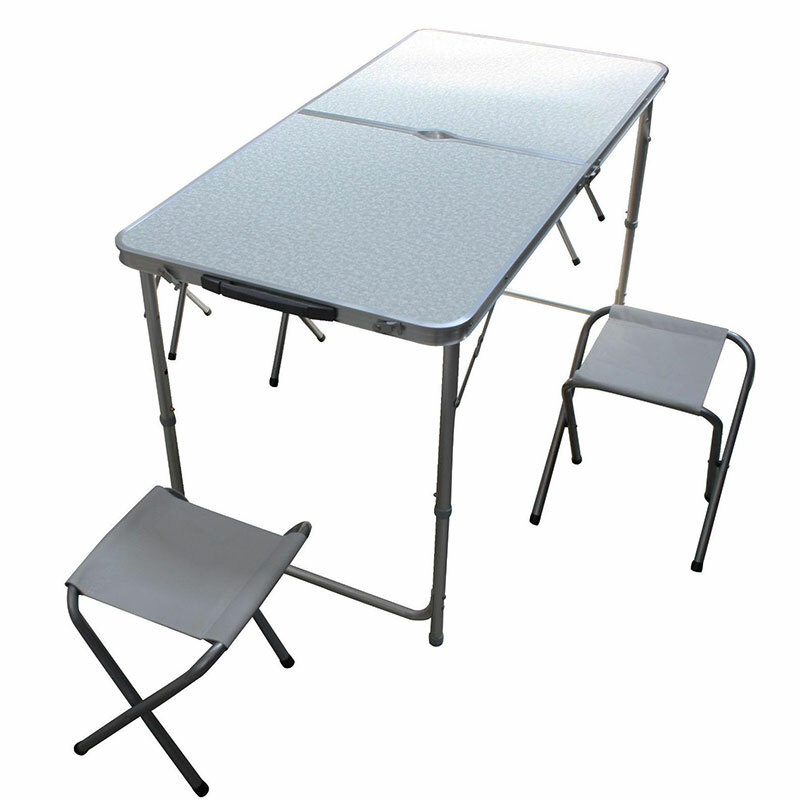 This camping table is one of the smallest on the market with a weight of just 2.2kg. 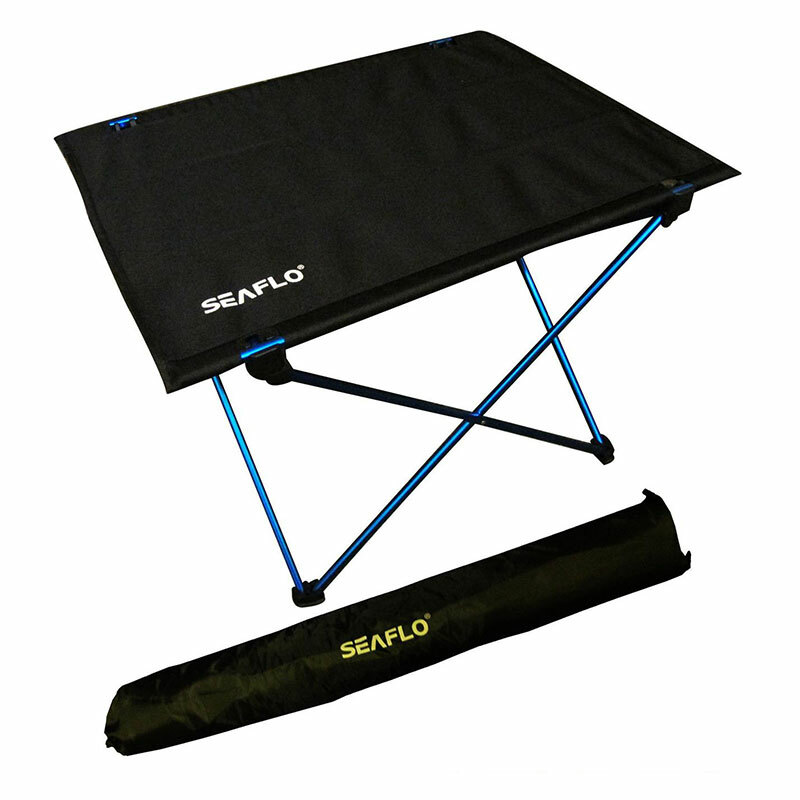 Just perfect for camping, hiking, caravan, motor-home, boating, picnics and outdoor activities etc.